The Vigilant drone is a pilot-less helicopter for air-to-ground observations within a 30-kilometer radius. It measures 2.30 meters, totals a takeoff weight of 40 kilograms. Techno Sud Industries, a small company, engineered the aircraft. 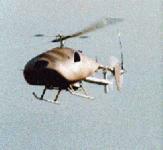 Vigilant is a low-cost and flexible system, that does not require any special terrain for operations. It took ten years of work and millions of francs from stockholder equity to engineer the now marketed helicopter. Seventy percent of its market is civil industry and 30 percent, the military. Thanks to 3 axis (pitch, roll and yaw) automatic stabilization (TSI patent), the Vigilant was equipped with flight programming engineered jointly with ONERA DCSD. The Vigilant, marketed by Thomson CSF, and has attracted many customers: the customs, fishing services, forestry commissions, city services and the police. Security, surveillance and environmental control are the major areas (not including military operations) where the Vigilant is highly successful. The Vigilant is the only aircraft of its kind with a permit to fly over French territory. 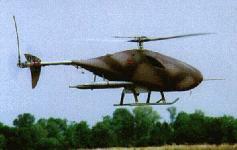 In June 1997 the French Army Headquarters decided to acquire from Thomson-CSF, system and program leader, and TechnoSud Industries, aerial vehicle designer, a Vigilant F2000 M helicopter UAV system, in order to assess, in the field, the advantages of the very short range UAV concept and its reconnaissance and scouting capacities in aid of armoured units. This decision followed a successful French Army / Thomson-CSF preliminary joint evaluation compaign which took place at Mourmelon, a test field located in Champagne. The trials proved the high reliability of the system, in addition to its technical and operational abilities. 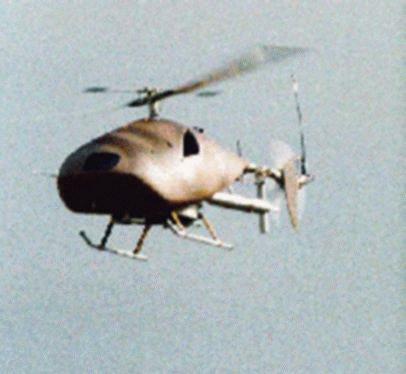 The delivered system includes a ground control station and one or two unmanned helicopters equipped with a panoramic camera and a pan/tilt zoom camera. The same system, under the responsibility of Thomson-CSF, had carried out several demonstration flights in France and foreign countries, in particular in Germany for the Luna program. It raised interest in many military, paramilitary and civilian organizations which consider its use for various missions, including reconnaissance, surveillance and observation of dangerous or difficult to reach areas.